Attention Phoenix real estate investors! If you have been buying properties in the residential market for the last 2 years, you have probably noticed that your investment yields have shrunk dramatically – albeit in conjunction with large price increases giving you nice capital gains! Is now the time to acquire Phoenix commercial property for investment? Where to start? Understanding and investing in commercial real estate in Phoenix is a very different animal than buying and holding a rental property or flipping a fixer upper purchased in foreclosure. Commercial opportunities typically sell based on their cap rate, occupancy and zoning class. It is important to fully grasp the variables that matter most when deciding on a commercial property. 8. Summary of operations of the business – History, competitive advantage, competitors in industry, etc. Where to search? 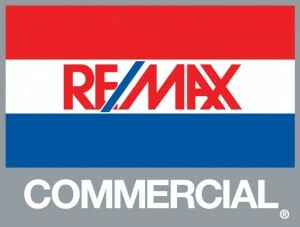 Most real estate agents do not deal in Phoenix commercial property. It is vital you align yourself with a Realtor who can speak the language, analyze spreadsheets, review financial documents and guide you through the entire process. With my background in finance (Chartered Financial Analyst – CFA – designation received from the Association for Investment Management Research in 2000) I will assist you closely in analyzing Phoenix commercial property for consideration and prepare offers on your behalf. Looking for high cap rate deals? Contact me now for an updated list of commercial real estate in Phoenix that offers at least an 8% cap rate with current occupancy. Some opportunities have NNN leases in place for maximum cash flow and fiscal predictability. Of course cap rate is only one component of analysis – cash on cash return for financed deals is also something to consider. Not to mention location, age of building, length of lease, surrounding $/sqft rent rates, etc. Need in-depth market research? Request your free quarterly RE/MAX Commercial Insight report by email for the most current in-house research on the national economic environment, global financial markets, transaction volume analysis by sector, regional pre-tax yields for investment properties and what it all means for commercial real estate.